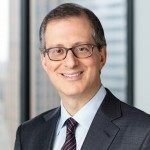 Kerry J. Sulkowicz, MD has served as a trusted leadership advisor to some of the world’s most well-known and respected corporate executives and boards. He is the founder and Managing Principal of the Boswell Group LLC, a consultancy based in New York. Trained as a psychiatrist and psychoanalyst, he advises CEOs and boards on a range of issues including the CEO’s evolving leadership challenges, CEO transitions and succession planning, management and boardroom dynamics, corporate culture change, and assessments of senior teams. Kerry is also a Senior Advisor to Heidrick & Struggles, a professional services firm. Kerry is particularly interested in increasing self-awareness in leaders. He also has a great deal of experience shepherding boards through leadership transitions in founder-led organizations and other complex situations, from startups to the Fortune 500. Kerry is often cited in the press on the psychology of business, including the Wall Street Journal, Financial Times, New York Times, Washington Post and Fortune. He has been a regular columnist in Business Week and Fast Company magazines, having written more than seventy columns. His landmark article, “Worse than Enemies: The CEO’s Destructive Confidant,” was published in the Harvard Business Review in 2004. Kerry is a graduate of Harvard College and the University of Texas Medical Branch. He was a Resident and Chief Resident in Psychiatry at NYU Medical Center and Bellevue Hospital in New York City. He is now a Clinical Professor of Psychiatry at the NYU School of Medicine, where he received the Distinguished Teacher Award, and a faculty member at the Institute for Psychoanalytic Education. He is a member of the American Psychoanalytic Association, the Academy of Organizational and Occupational Psychiatry, and the International Society for the Psychoanalytic Study of Organizations. Kerry is Chair of the Board of Physicians for Human Rights, and serves on the Advisory Council of Acumen Fund.